The Russell-Colbath Homestead is a wood frame house that was built in the early 1830's by Thomas Russell and his son Amzi Russell. The homestead is listed on the National Register of Historic Places. 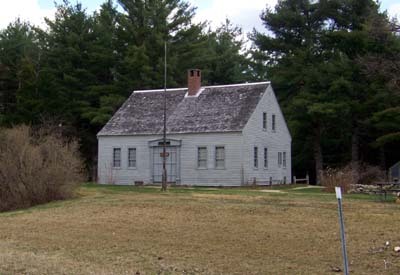 The house and property were purchased by the US Forest Service in 1961 in order to preserve the historic location and educate the public on the heritage of the Passaconaway Valley in NH. In 2003 a new post and beam barn was constructed of rough sawn timbers milled from trees at this site using a portable saw mill. The barn is used for interpretive programs and is available for rent for gatherings, wedding receptions and events. If you would like to rent the barn for your event, contact the Saco Ranger Station at 603-447-5448. The Russell-Colbath house and property is open to the public as an historic site. It is located just West of Jigger Johnson Campground. Inside the house are old photos and interesting household items of the time that show how life might have been in the early to mid 1800's. A host is at this location greeting visitors with clothing that would have been worn in these early days. USDA Forest Service Historical Archaeologist Sarah Jordan gives us a glimpse into the past , present and future of New Hampshire's White Mountain National Forest.